We have been rather obsessed with the Olympics around here lately. I wholeheartedly admit to adding fuel to that fire. 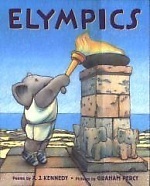 I have always adored the Olypmic Games and it's been so fun to pass that love onto my children. We let them stay up past bedtime for an extra hour (most nights) to watch a little bit of the coverage. Ellie was enraptured with the ice skating events, especially ice dancing. She was completely smitten with Meryl Davis and Charlie White. I must say that ice dancing is not my favorite, but her enthusiasm nearly won me over. She literally squealed when she learned that Davis and White had won the gold. She dressed up as Gracie Gold for our presentation at Culture Club. Ethan has been pretending to be a speed skater for the past week. He holds one hand behind his back and slides in his sock-clad feet all over the dining room and kitchen. He makes an intense athlete face and does not allow his concentration to be broken as he circles the room. We learned about the inspiring athletes, details and requirements for the different events, and a little bit about Sochi, Russia, as well as reading lots of fun books about the Olympics. Our recommendations are below. Ellie used this lapbook found at Currclick. Russian towers coloring page found here. Ethan used this book for emergent readers (and loved it). The Sochi Winter Games website was helpful, as well. This book was so cute! 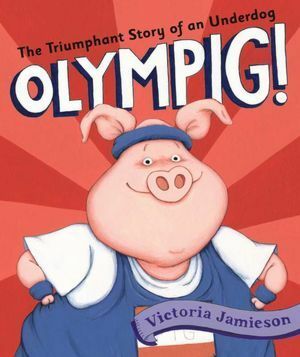 Inspiring olympic spirit in a not very athletically-gifted pig. Ethan loved it. 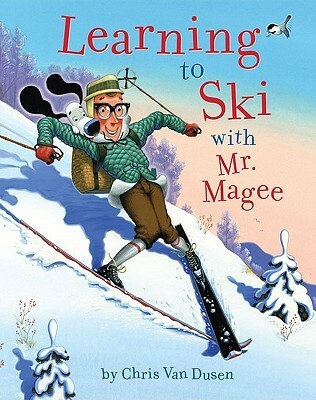 Silly and fun, as all Mr. Magee books are. An in-depth look at figure skating, jam-packed with information including: the science behind why it works, the history of figure skating, how to recognize the different jumps and spins, famous skaters, and much more. It's filled with thousands of factoids. Ellie poured over this one. 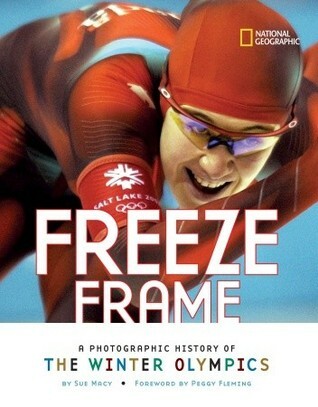 Freeze Frame: A Photographic History of The Winter Olympics by Sue Macy. Amazing photographs of athletes. We were all enamoured with this inspiring book. 100 Unforgettable Moments in the Winter Olympics by Bob Italia. This is definitely out of date; it was published in 1996, but it was a good resource for early Winter Olympic feats up through the early 90s. I enjoyed reading about many of the athletes I remember from my childhood (Katerina Witt, Bonnie Blair, Brian Boitano, etc. ).